Enjoy some glimpses of what we see riding motorcycles through southern Chile & Argentina across the stunning landscapes of Patagonia and Tierra del Fuego. This seldom-explored area of the world is a "must see" for adventure riders everywhere, especially while we still have dirt & gravel roads and very low-traffic experiences possible. Yes, we offer Guided Group tours, but if you prefer riding alone or just with your own small group of friends, don't forget to check out our Self-Guided "Fly & RIDE" packages! Don't let that stop you though, because a motorcycle adventure through Bolivia might be the surprise of a lifetime. The landscapes, colors, and scenery combine with fascinating cultures and customs and make for and absolutely incredible riding experience. Motorcycle tours through Peru are sure to bring you to the world famous site of Machu Picchu, but in addition to that, there are countless panoramic views and fascinating cultures and people to see during your ride. 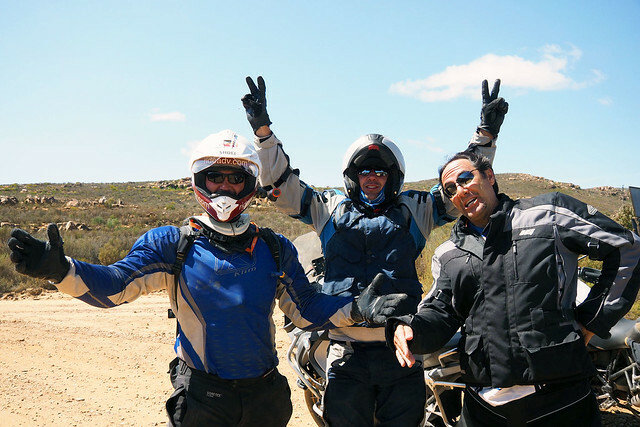 If a guided tour isn't your thing, make sure to look at our Peru motorbike rental options! San Pedro de Atacama, situated in the Atacama Desert, is packed full of geological phenomenon and beautiful scenery best visited on a motorcycle tour or rental! Most guided motorcycle tours of Bolivia will certainly include a visit to San Pedro de Atacama, and often motorbike tours of Machu Picchu in Peru will as well! What's the Trans Wisconsin Adventure Trail like? These pics will help explain, but not the feeling of putting such great use to your dual sport motorcycle. BMW GS, Triumph Tiger 800XC, KTM Adventure, Suzuki VStrom, and KLR 650 owners need to check this trip out! With our rental operations in place in southern Africa, Riders can explore Namibia, Botswana, Angola, Zimbabwe, and of course, South Africa. The best dual sport riding and fully-paved routes just await the twist of your wrist! Click the image below to download our free tutorial on "How to Pack for Your Motorcycle Trip"